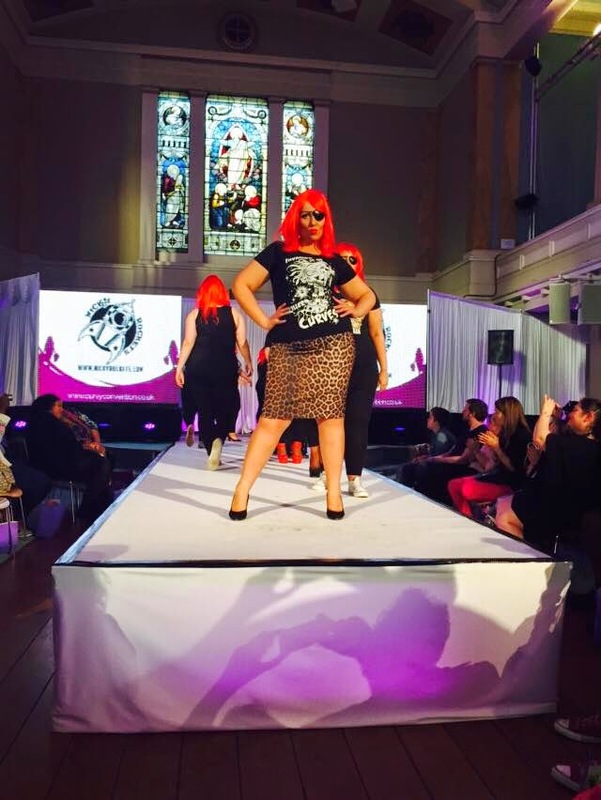 On Saturday I attended a plus size fashion event in London called Curvy Convention. 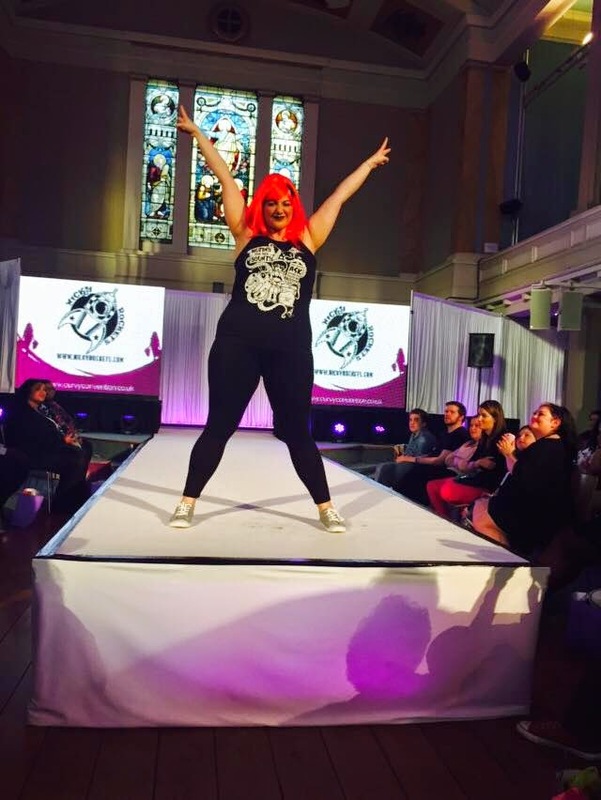 I was flying the flag for my plus size teeshirt brand Nicky Rockets and it was a truly brilliant day. 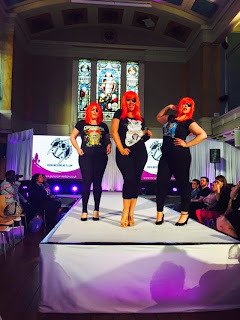 I'm going to write a separate post about all the wonderful clothes I saw during the many excellent fashion shows but really wanted to concentrate today on how wonderful it was to receive such an amazing response to Nicky Rockets. 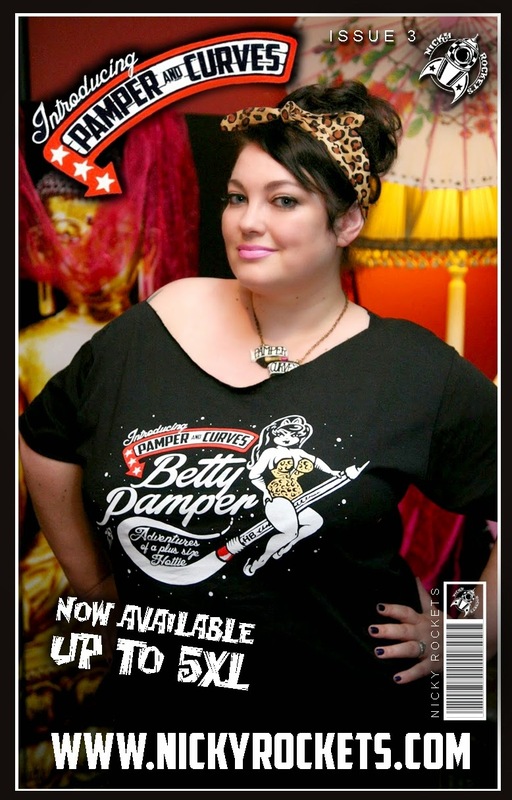 As regular readers will know Nicky Rockets was born from the simple desire of a fat chick (moi) wanting to buy cool tee shirts in her size featuring depictions of pin up women who didnt have Barbie doll proportions. I love the glamour and kitsch of the 1950's pin ups but designs featuring them never looked like me which was slightly alienating, it was a moot point though as most of them didn't come in my size anyway. 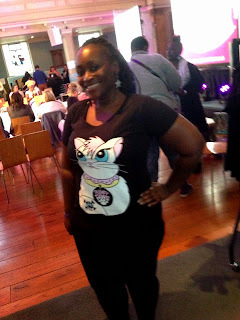 Nicky my husband is an artist and after hearing me moan offered to design a tee-shirt just for me and so our brand was born. 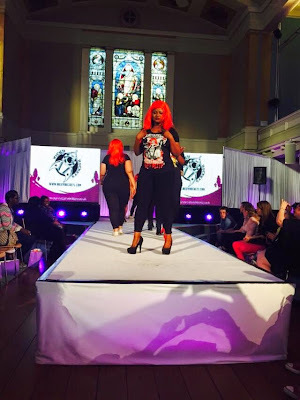 The fabulous April who arrived wearing a Nicky Rockets tee and who very kindly let me use her pictures of the catwalk show for this post-she is just awesome. Its been a little over a year and the reception our designs have received has been mind blowing. 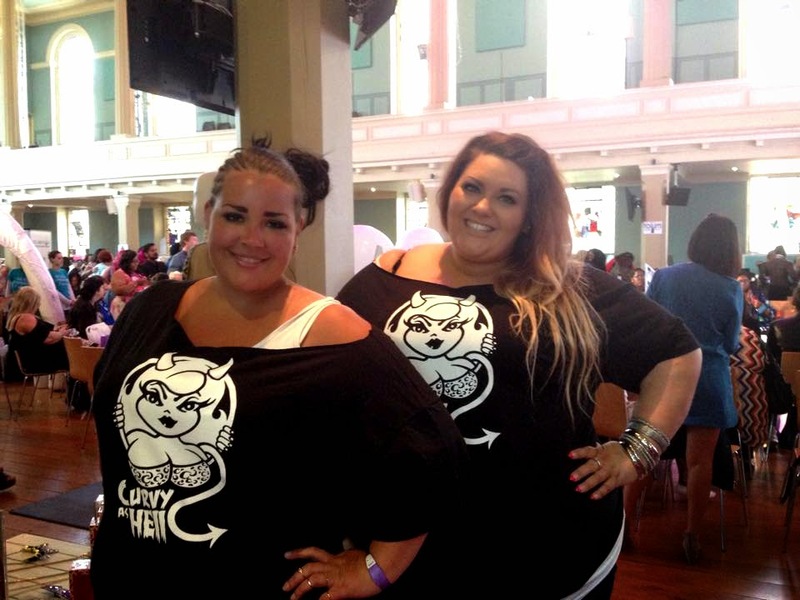 Curvy Con was such a wonderful opportunity to meet our customers and enjoy the particular thrill that only seeing plus size women enjoying your designs and then being happy they come in their size brings. 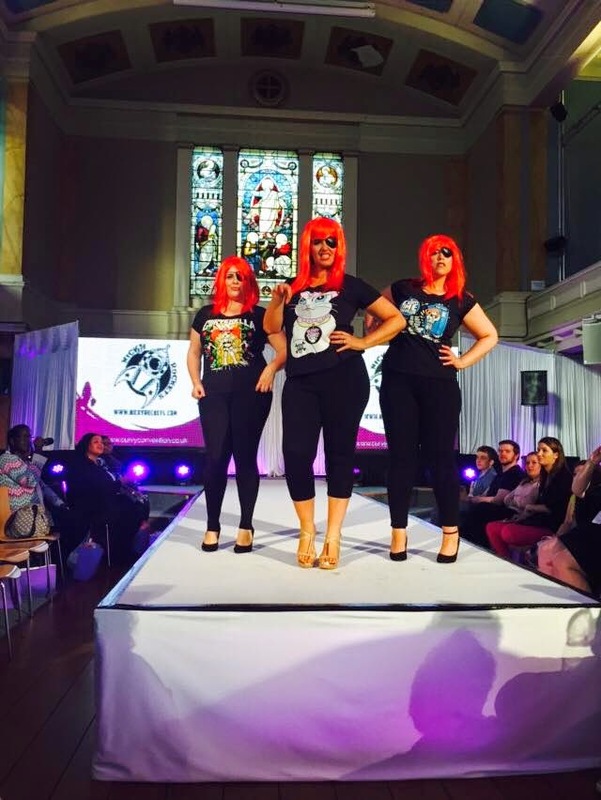 As if this wasn't enough we also realised one of our ambitions by featuring on the Curvy Convention catwalk show. 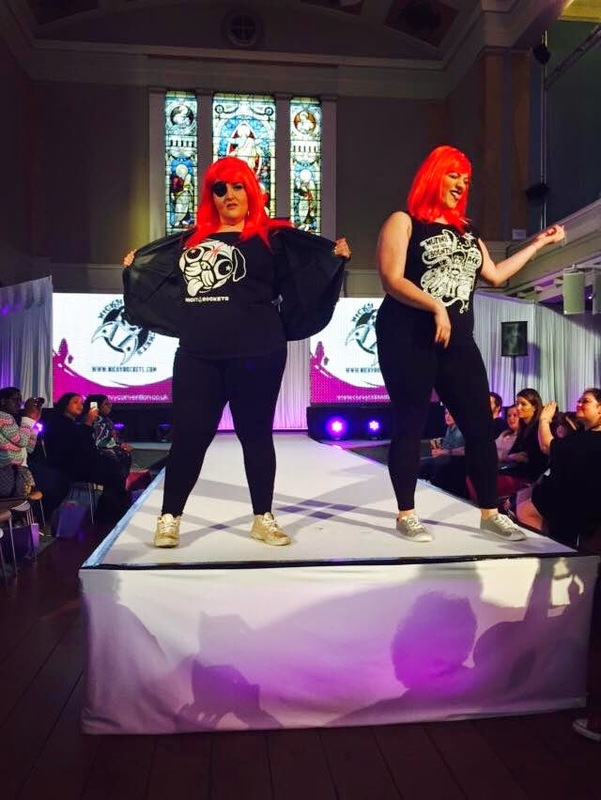 We decided that we would make the models all look like our fave tee shirt heroine Curverella The models were all fantastic, such good sports and they did us proud, throwing shapes, giving it some attitude. 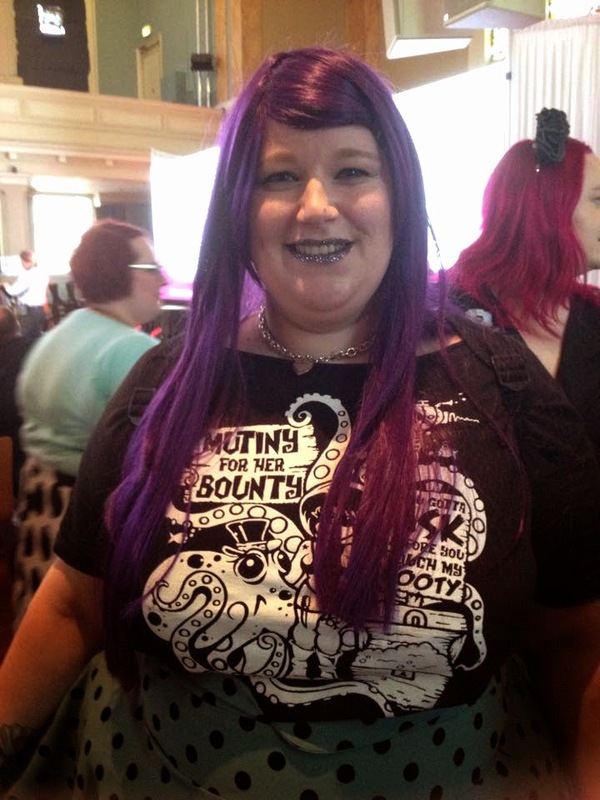 I'm not embarrassed to say I shed a few tears as it was just so exciting and wonderful. Without being too soppy the plus size blogging community feels like my home, its been so good to me, offering support, laughter, friendship and so many opportunities and meeting readers of my blog and wearers of my tees on Saturday was just incredibly special.